If you haven’t watched the show, check it out on Netflix. Order nurse scrubs online in either orange, or in this case, tan, which Piper wears in season 2. If you really want orange, I suggest you order them months before October. 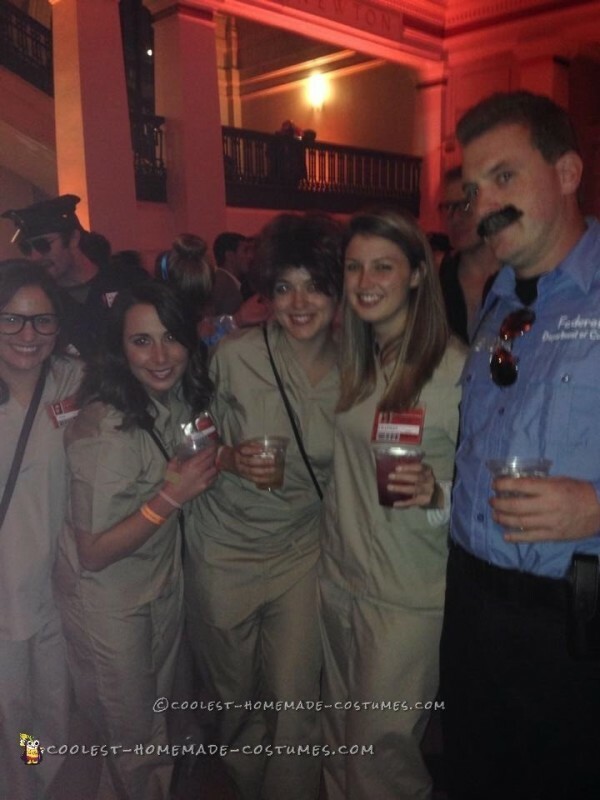 The orange scrubs sell out fast from what I assume a lot of other people wanting to do this costume. Not seen are the shoes that Piper fashions out of tampons. Just wear flip flips and tape the tampon pads over the straps. 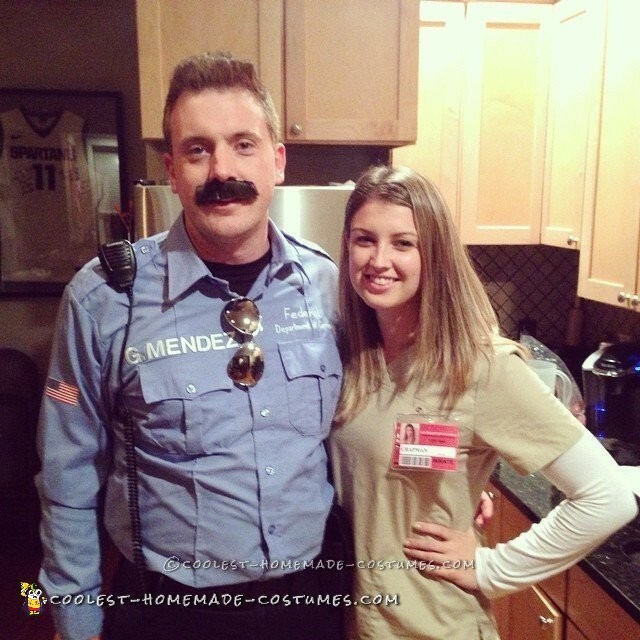 Her ID is found online where I printed out the badge, took a picture of the girl wearing the costume, and put it in a lanyard. Total cost $30. 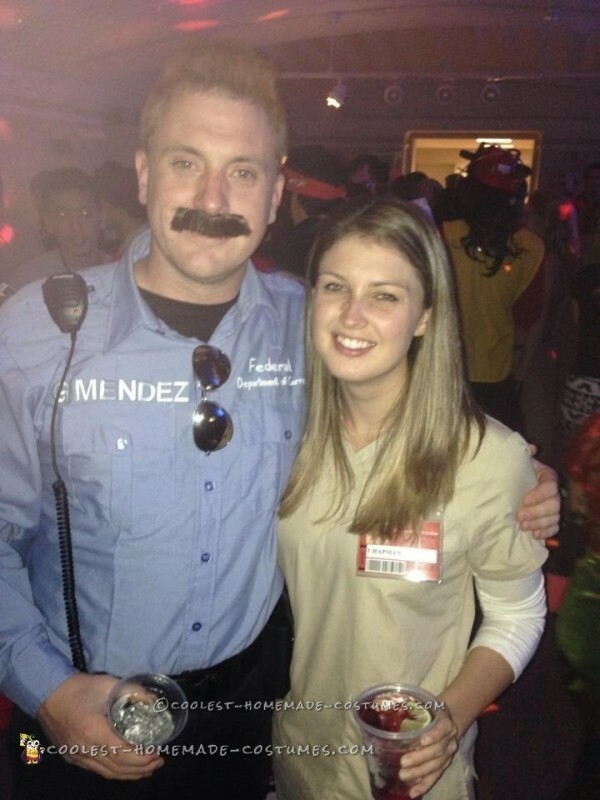 There were a lot of people wearing OITNB costumes, but the little details will make yours the best. Either way, you will meet a ton of people and take photos.